She’s just TOO cute. She loves to be around us and all she does is rest and sleep next to us alllll day! I was surprised to see that I drained my iPhone battery down topracticallyt zero! I’ve never seen the battery bar completely empty like this when I put it on the charger! I also managed to sell my Samsung Galaxy Exhilarate for $80 bucks more than it was purchased for! The BF got a really good deal on it and I resold it for a really good price! So I got a Galaxy S4 the other day. Though I LOVE my iPhone 5, I REALLY miss android and have been wanting to try out the S4. I got it from AT&T but am using it with my T-Mobile line. It’s SO PRETTY! And so fast and nice. I love love love this phone too! 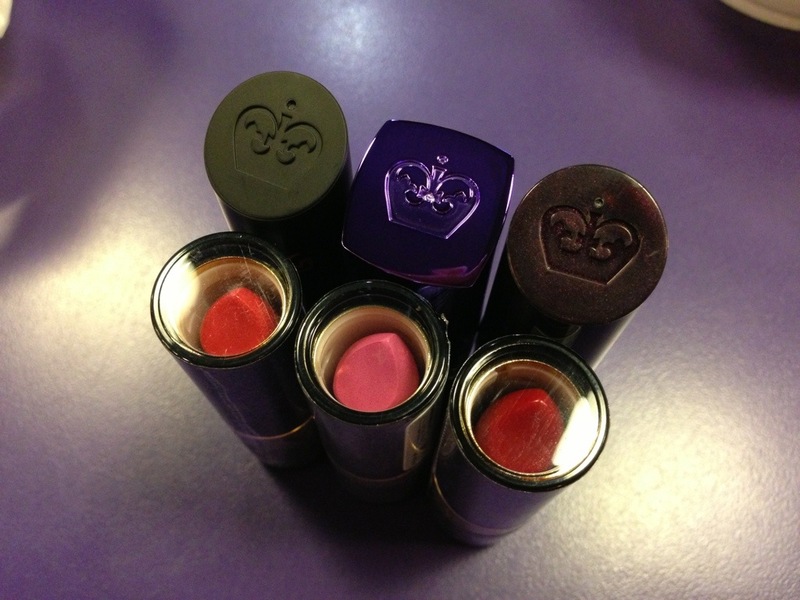 Got some new lipsticks from Sears tonight! All the major drugstore brands were 50% off! Did my nails! 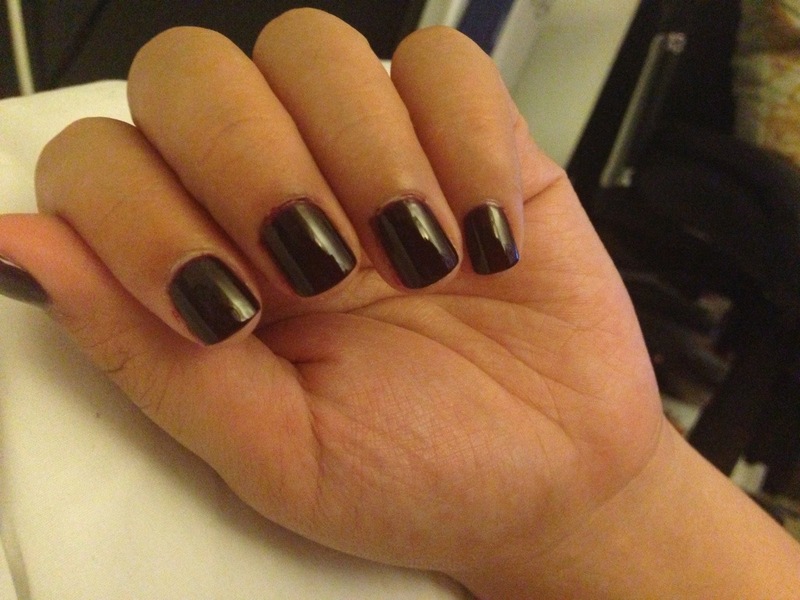 The color is Black Cherry by Milani. It can be found at your local drugstore. 🙂 It’s a very pretty dark dark red color.